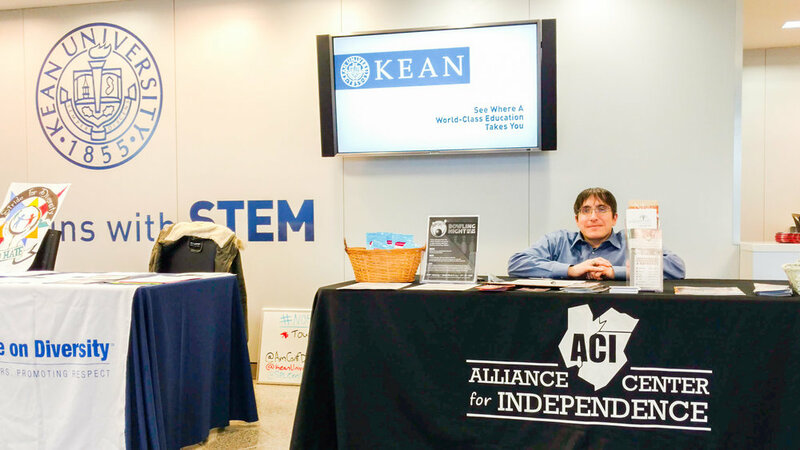 ACI was at the “No Hate” Town Hall Meeting at Kean University on January 12th. 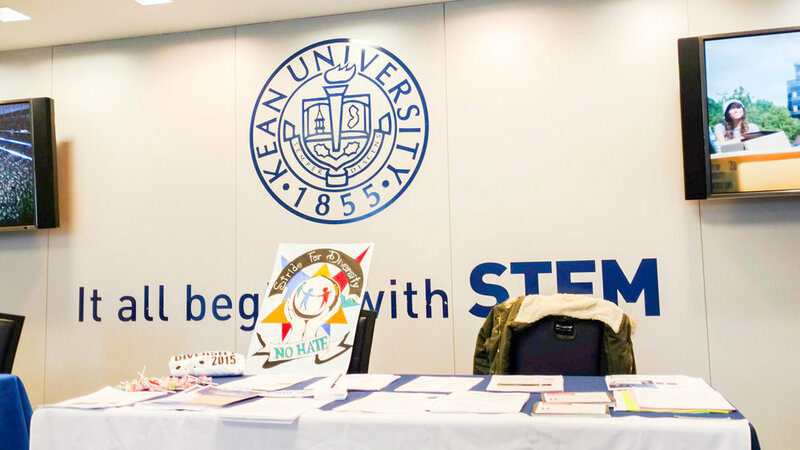 The American Conference on Diversity (ACOD), in collaboration with Kean University, hosted this meeting with the intention of engaging in an open dialog about diversity, inclusion, and ending hate. The panel included representatives from the legal community as well as Kean and Rutgers Universities. The mission of empowering individuals and institutions to address issues of bias and discrimination is important to support. Thank you to all those who stopped by our table for information. Posted on January 17, 2017 by Brian Mazzarella and filed under Advocacy. Get Educated and Registered for the 2016 Election! The following NJ Centers for Independent Living/REV UP NJ will be holding Voter Education/Registration events. • Center for Independent Living-SJ - Voter Registration- August 26th, 10am to 3:30 pm. - 1150 Delsea Drive, Suite 1, Westville, NJ 08093, 856.853.6490. Free water ice if you register to vote! Posted on August 16, 2016 by Brian Mazzarella and filed under Advocacy, Voting. 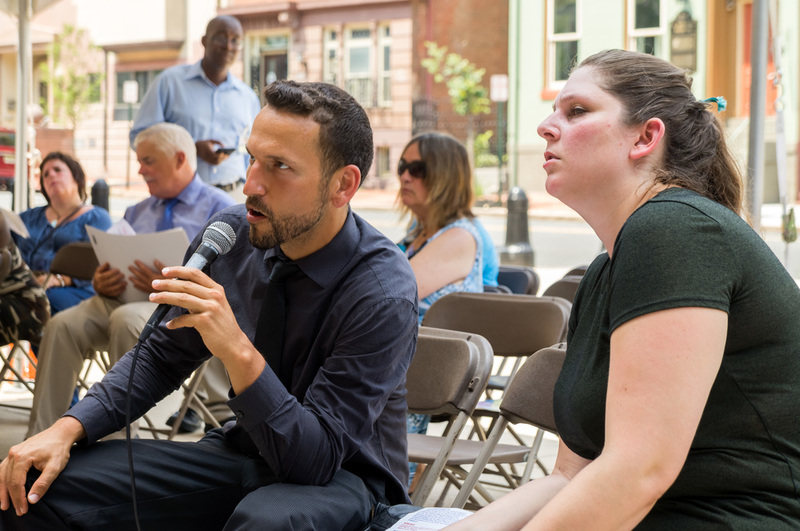 Thank you to everyone who braved the heat and participated in the REV UP New Jersey Kickoff at the NJ State House. 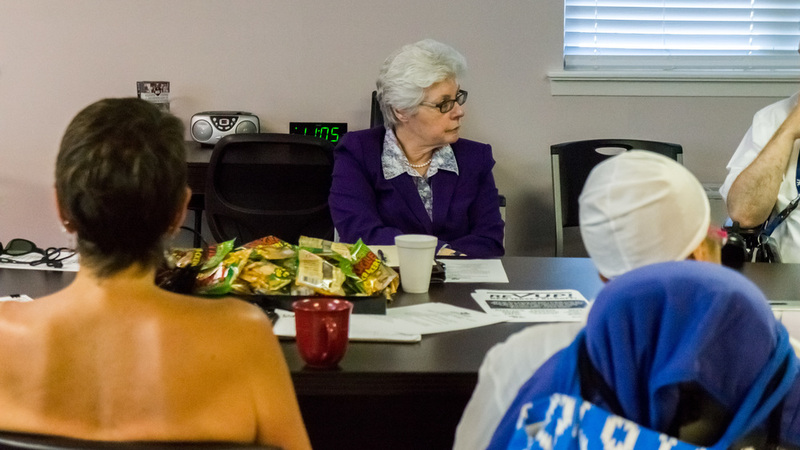 About 30 people heard speeches about the importance of the disability vote and our participation in the election process. Among the speakers were: NJ Assemblyman Eric Houghtaling of Monmouth County, Kevin Casey, Executive Director of the NJ Council on Developmental Disabilities and Norman Smith, Associate Executive, Project Freedom. The event was organized by Alliance Center for Independence and REV UP New Jersey and funded by the New Jersey Council on Developmental Disabilities. Posted on July 26, 2016 by Brian Mazzarella and filed under Voting, Advocacy. 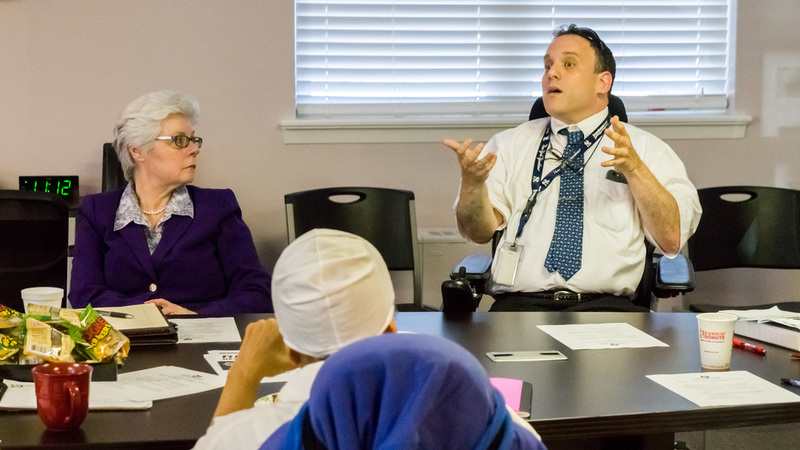 Make the Disability Vote Count at the REV UP New Jersey Kickoff! The REV UP New Jersey Kickoff is going to be a great event! Come out this Monday, July 25th from 1:00 to 3:00 PM and learn about how your vote can make an impact in this year's election! Sign the pledge, take a selfie, grab some promotional items, enjoy live music, hear from voting rights activists, and help us make our vote count! Posted on July 20, 2016 by Brian Mazzarella and filed under Voting, Advocacy. Thank you to Emily Templeton of the NJ Dept. of Community Affairs and Edward Haas of the NJ Division on Civil Rights for their informative workshop on NJ's Barrier Free Subcode and the NJ's Law Against Discrimination. 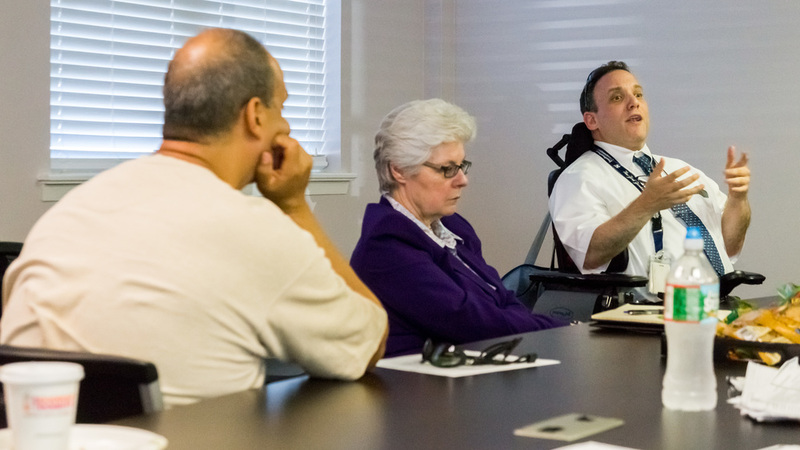 The workshop, entitled Making Your Community Accessible, is another of a series of workshops on disability rights and the law. Posted on July 20, 2016 by Brian Mazzarella and filed under Workshop, Advocacy. Call the Trump for President Headquarters on July 14th! In January, the Trump for President Campaign received a list of 16 questions related to disability policy and issues important to the 54 million Americans with disabilities. 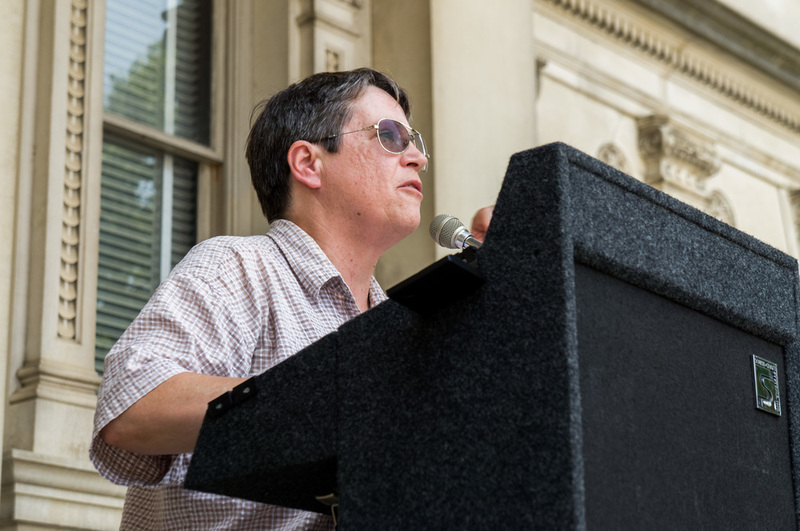 The questionnaire was put together by RespectAbilityUSA, a Maryland-based disability advocacy organization. The questionnaire was sent to all the presidential candidates on both sides of the aisle. Since that time, however, all but the Trump campaign have responded. As of now, the Trump campaign has refused to answer the questions or acknowledge them in anyway. Since January, calls, emails and a visit to his campaign headquarters in Edison asking Trump to complete the questionnaire have gone unanswered. As the presumptive Republican presidential nominee, his continued dismissal of our community should not go unchallenged! Join us on Trump Call-In Day and send a message that we will not be ignored. For more details, visit our Upcoming Events page. 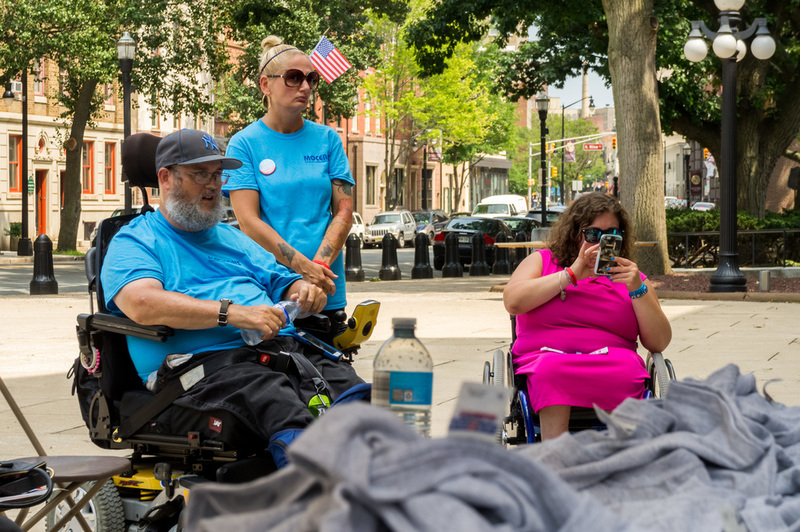 REV UP NJ is part of a national movement to increase the participation of people with disabilities in the election process. ACI and REV UP NJ are both non-partisan groups. We don't endorse or criticize any candidate. 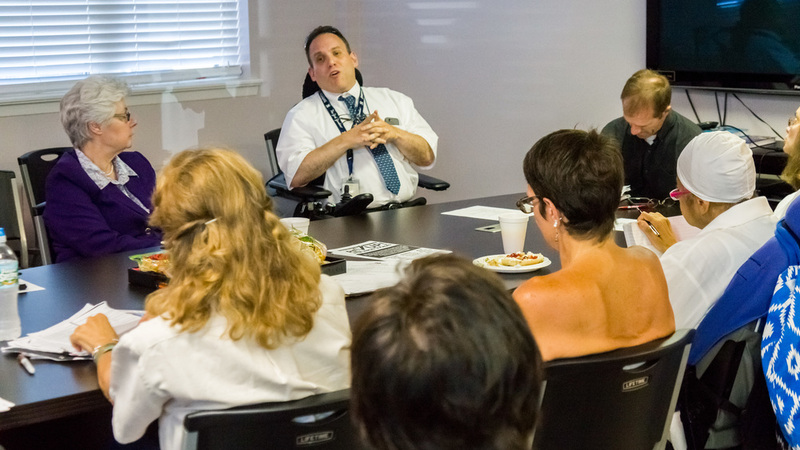 The purpose of our efforts is to educate NJ's disability community in voting and the election process. Posted on June 28, 2016 by Brian Mazzarella and filed under Advocacy, Voting.